Theophilus Brown Bather, 1964 oil on canvas, 46" x 48"
Theopolis Brown Bathers, 1964 Oil on canvas, 18" x 24"
Theophilus Brown received his Bachelor of Arts from Yale University in 1941 and his Master of Arts From the University of California, Berkeley in 1952. Long associated with the Bay Area Figurative movement, Brown had his first solo exhibition at the San Francisco Museum of Modern Art in 1957. When he returned from a European trip in 1954 his work took a more concentrated turn toward the male figure. 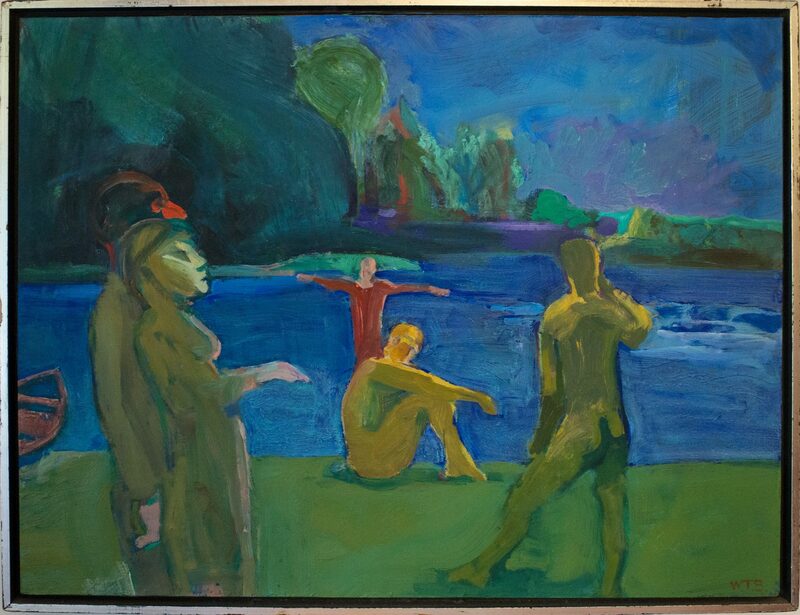 Although Brown’s work is exemplary of the Figurative movement, his artistic development and journey are closely associated with that of his counterpart, Paul Wonner. Both artists were included in the historic Paul Mills exhibition at the Oakland Art Museum, “Contemporary Bay Area Figurative Painting,” in 1957. Brown continued his exploration of the figure well into the 1960’s, experimenting with abstraction, light and color.